Belarus - one of the former Soviet republics, which currently has low house prices and affordable cost of living. There are many spas and resorts on Belarusian territory where you can relax and improve your health. It is quite easily for foreigners to buy properties in Belarus. You can buy both residential property and land for development. Of course, the recent economic crisis affected the country, but its economy is stable enough and expert’s predictions for its future are very positive. What kinds of properties in Belarus are offered more often? Among the most affordable properties for sale is a countryside house, as the low cost options in the country are the typical flats in multi-storey buildings of the secondary real estate sector. Much better quality and higher value - new apartments in the modern new developments. The most prestigious options - townhouses or luxury cottages in the elite settlements, which are also not uncommon for the country. 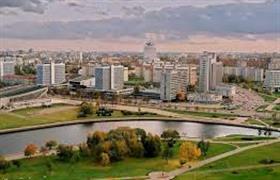 The most popular property is located, of course, in Minsk, since it is the capital, cultural, economic and political center of Belarus. It is good to invest money in this kind of property, since it is always possible to rent out or to resell profitably. As in any country, the cost of housing in Belarus depends on the region, the quality and size of the property. Besides expensive metropolitan real estate can be considered housing in cities such as Brest, Gomel, or Vitebsk - they are perfect for permanent residence and can offer good properties at low prices. They are well developed and you can safely do business and educate your children there. The country is full of great business opportunities for the acquisition of retail property such as offices, shops and other commercial premises. This type of real estate is in demand in order to rent or resell, so the prices in this sector are not the most accessible. But it pays for itself quickly, especially in the border areas of the country. You can buy residential property and use it as commercial, but only if it is located in the large cities, especially in Minsk. Rental earnings will become permanent, as the demand for them is stable.